Winair wants to restart serving the Curaçao-Sint Maarten route. A prior attempt was however not successful. Photo: The BES-reporter. 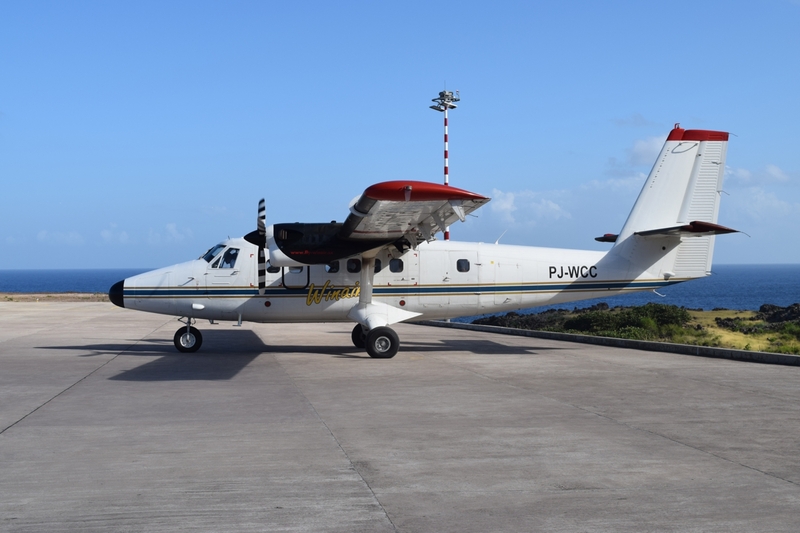 Philipsburg- St. Maarten based Windward Islands Airways International NV (Winair) in which the Kingdom Government holds a 7% stake on behalf of St. Eustatius and Saba, wants to make a second attempt to serve the Curaçao – Sint Maarten route. According to information obtained by The BES-reporter, the route will be flown making use of a wet-leased MD82 from Dominican flag carrier PAWA Dominicana. The attempt to serve the route is not the first one by the carrier who normally uses only 19-seater De Havilland Canada DHC-6 ‘Twin Otters’, which are not suitable to cover the route. An earlier attempt dating back to the year 2014 to serve the route by a wet-leased ATR-42 operated by Guadeloupe based Air Antilles Express was given up after a mere two months. At the time the service, making use of a smaller and slower propeller plane, was no match for the much larger Insel Air. Now that Insel Air is in dire straights, Winair seems to want to give the route a second try. New in the plans this time is that Port-Au-Prince (Haiti) would also be served at the same time. Winair’s plan does not seem to take into consideration the possibility of Insel Air’s return on the route with larger and faster Fokker 70 or MD82 planes. While currently some travelers might prefer to use Winair as they would be serving the route by the bigger MD82 planes compared to the Fokker 50 Insel Air currently uses on the route, Winair would probably not be able to compete against Insel Air with daily flights on the same route. Furthermore, a wet-lease construction is the most expensive construction in aviation business and would need a quite high occupancy from the get-go to be sustainable. Observers on especially St. Eustatius and Saba wonder if the expansion plans for Winair are a good idea to start with. “I’d rather see them adding flights on the St. Eustatius – Sint Maarten route”, said an inhabitant on Statia. Others complain about the high fares Winair charges for flights between the islands, most notably between Statia, Saba and Sint Maarten.